Due to the legacies of the European imperialism the twenty first century will see unprecedented expansion in the varieties of organized violence. To ignore the twenty first century realities then we and our children will be paying the prices for it in the coming centuries as we have been paying till now. The international community is living in a fantasy world without real threats and consequences. As a result the innocent people will be dying for the mistakes the international community is going to commit. The struggles and the wars in which the world is engaged are bloody manifestations of a deformed world struggling to its normal condition. 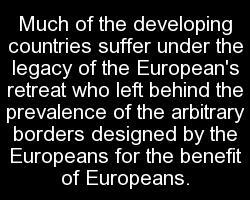 The world has to preserve arbitrary boundaries designed by the European tyrants. After deforming the world for five hundreds years European imperialism has damaged the world a lot. From West Africa through the Middle east to South Asia , Europeans divided the world among themselves with little regard for geography and less for local identities . Now the international community has entered a series of conflicts whose common cause is arbitrary , dysfunctional borders, phony statehood or both. 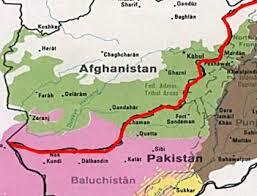 One of these arbitrary dysfunctional lines is the line of hatred and evil the Durand line between Afghanistan and Pakistan which is also the legacy of the British imperialism in south Asia. 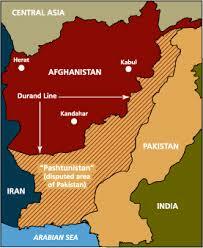 But as the Durand Line is the tragedy of the history so I want to explain it by historical point of view. In the 19th century British held the Indian subcontinent while the Russians held the lands of the Central Asia . But their spheres of influence overlapped in Afghanistan. The British thought they might create a ‘buffer state’ Afghanistan. So in 1839 they invaded Afghanistan. They put a ‘puppet’ king on the throne. They could not leave because the ‘puppet’ king was unable to look after himself. In the end the troops left and 16500 British Army got slaughtered. By the 1840s the Russians had reached the Aral Sea and were slowly being drawn into Central Asia. 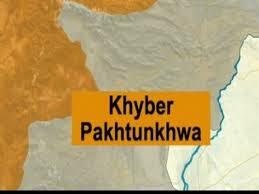 Then in 1849 the British invaded and occupied the Afghanistan territory now called Pukhtunkhwa. As a result the British empire well entrenched in the backyard of Afghanistan. But the Pukhtun tribes saw no reason to stop their traditional raids just because the territory was now British. So the British were faced with the problem of how to control the Pukhtun’s tribes. The British tried first the ‘close border policy’ which held as a principle that British sovereignty should not be extended to areas which could not be governed effectively. But this didn’t work very well. Then they started to try the ‘forward policy’ which involved capturing and holding areas in the Pukhtun’s tribal zones in the hills. Strong points were captured, fortified, garrisoned, connected by roads which would be protected. But this forward policy inevitably raised the question of where the border between British India and Afghanistan should be set. At the same time fears were growing about the advance of the Russian Empire. By the 1870s the Russians had been able to capture- the great Central Asian cities of Bokhara, Samarkand and Khiva. Therefore, in 1878 the British invaded Afghanistan again But they failed not because of the Russians, but because of the Afghan resistance. After defeating the British , the Afghans showed them the way back on which they had invaded Afghanistan. Thats why the British found that in the battle field it was impossible to conquer Afghanistan. So they started thinking how to use their famous formula , divide and rule. 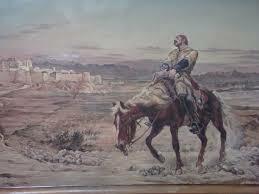 And according to an American writer- Arnold Fletcher , Afghanistan had been encircled by the British at that time. So by 1893, the British had concluded that formal border needed to be established between Afghanistan and British India so that the Russian advance could be held off from the British Empire in India. Afghanistan was considered by the British as an independent Princely state at that time, although the British controlled its foreign affairs and diplomatic relations. In the mean while the then Viceroy of British India Landedown informed the king of Afghanistan , Amir abdur reham khan to receive the delegation to discuss the issue of the border between the Afghanistan and British India. Amir Abdur rehman khan got annoyed and refused to receive the delegation. But then the viceroy gave him ultimatum that if he would not sign the agreement about the border, he will be invaded. Unfortunately the King was not strong enough to face this threat. Sir Henry Mortimer Durand travelled to Afghanistan in October 1893 and it could not have been the most pleasant of missions to conduct. Because two of the envoys who had been sent to Afghanistan in the 19th century, Sir Alexander Burns and Sir Louis Cavagnari had been cut to small pieces in very unpleasant circumstances. After having arrived to Kabul Sir Mortimer Durand presented a signed document with King Abdul Rahman Khan in 1893 which referred to the border between Afghanistan and British India. On 12th November ,1893 king of Afghanistan Amir Abdur Rahman Khan and Britain’s Foreign Secretary for India Sir Mortimer Durand drew a line on the paper across the roof of the world and signed it. However in many cases it was not clear where the boundary ran. There were areas represented on the map which did not even exist on the ground . The line is about 1600 Miles long. So with their might , power and force the Britsh imposed the durand line on the King of Afghanistan to divide the Pukhtuns and weaken their power . The Durand Line divides ethnic Pukhtuns as well as Baloch. But the majority of the area in which the Durand Line runs has been inhabited by the indigenous Pashtuns. The Durand line was demarcated to define their respective sheres of influence and limit interference in one another’s affairs. It is worth noting that there are two parties mentioned in the agreement , one is the British government or the government of India and the other is Amir Abdur Reham khan personally and not the goverment of Afghanistan. So it was the personal act of the King And this is the proof that the Durand line agreement was signed on 12th Novemmber ,1893 But on 13th November , 1893 the Amir held a public Darbar of his close circle in the Salam Khana hall and informed them about the agreement which was already signed. The single page Durand line agreement contains seven short articles . The Durand Line has always been a porous, dysfunctional imaginary border since 1893. Till 1897 the agreement was kept secret from the people of Afghanistan. And when in 1897 the Pukhtuns knew about the agreement during demarcation , there was a massive uprising but by the British Royal Air force bombardment and 60000 well equiped British Army the uprising was suppressed. Though Amir Abdur Reham Khan allowed the setting up of Afghan and British Commission to demarcate the Durand line, but he did not provide any security from the frontier tribes. In fact, certain scholarly investigations claim that the Amir’s endeavors and machinations catalyzed the famous uprising of 1897. The Durand Line triggered a long running controversy between the governments of Afghanistan and British India and it continues till to date. The status of the Durand Line remained unclear. The British viewed their negotiations with the Afghans as an internal colonial issue rather than as an international one. From a geopolitical and georstrategic perspective it has been described as one of the most dangerous borders in the world. This was the historical background of the Durand line …………… to be Continued…..